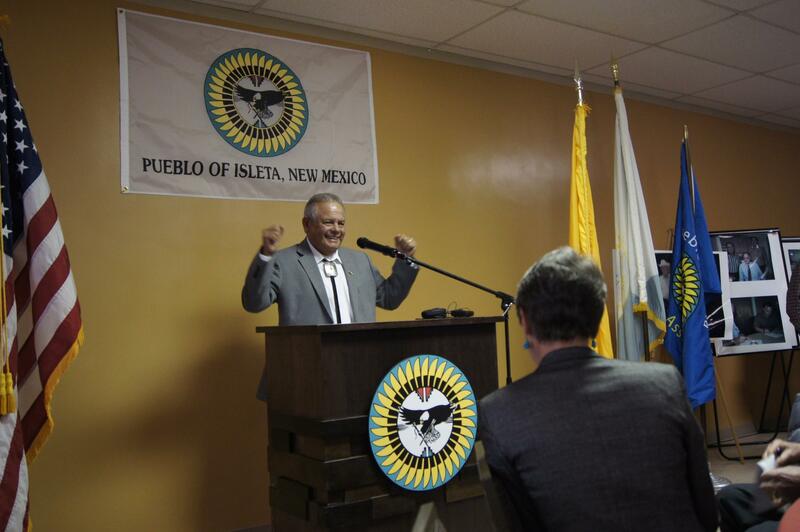 Isleta Pueblo Governor Eddie Torres at Friday's signing ceremony. Interior Secretary Sally Jewell is in the foreground. The Secretary of the Interior met with leaders of Isleta Pueblo Friday to return nearly 90,000 acres of ancestral land to the tribe. With the stroke of a pen Interior Secretary Sally Jewell and Isleta Pueblo Governor Eddie Torres increased the size of the tribe’s reservation by 50 percent. Isleta already owns the land and has been raising cattle on a ranch there as food for the tribe. But according to Governor Torres, including the ranch on the reservation will ensure the tribe holds on to its territory into the future. "Land is really essential to the essence of the culture and history of tribes across the United States," she said. "Taking land into trust on behalf of tribes means that the land will be there for future generations, like this 89,000 acres, the largest transaction that we’ve done under the Obama Administration." With today’s land transfer, Jewel said, the Obama administration has achieved 80 percent of its goal of handing half a million acres of ancestral tribal land back to Native American communities across the country. 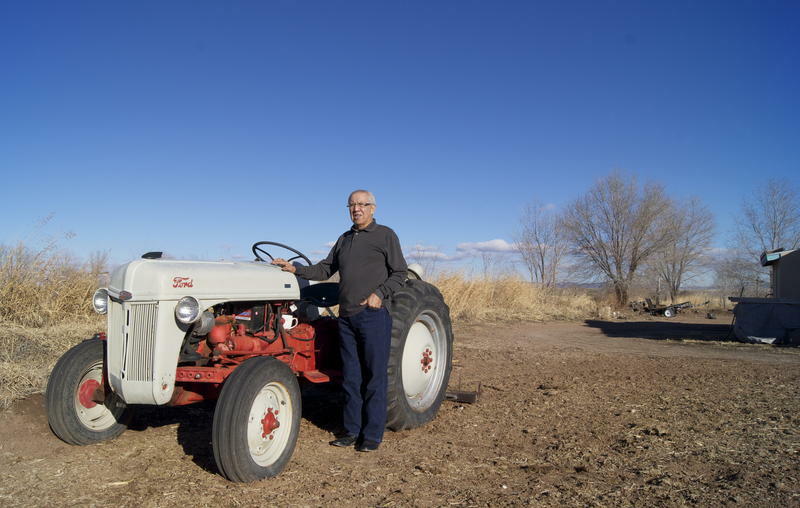 Editor's Note: After we published this story, a spokesperson for Kirtland Air Force Base wrote with a series of objections to the story. Kirtland did not allege any factual inaccuracy in our story but we did make a change to reflect that Kirtland's lead discharges into the Rio Grande watershed are not in violation of environmental laws. You can read all of their objections and our responses here. Businesses, military bases and city utilities have dozens of permits to release pollution into the Rio Grande watershed. Albuquerque’s wastewater treatment plant is one of the biggest sources of discharges into the river. The plant has had trouble with regulators and neighboring communities in the past, but they’re making some headway. 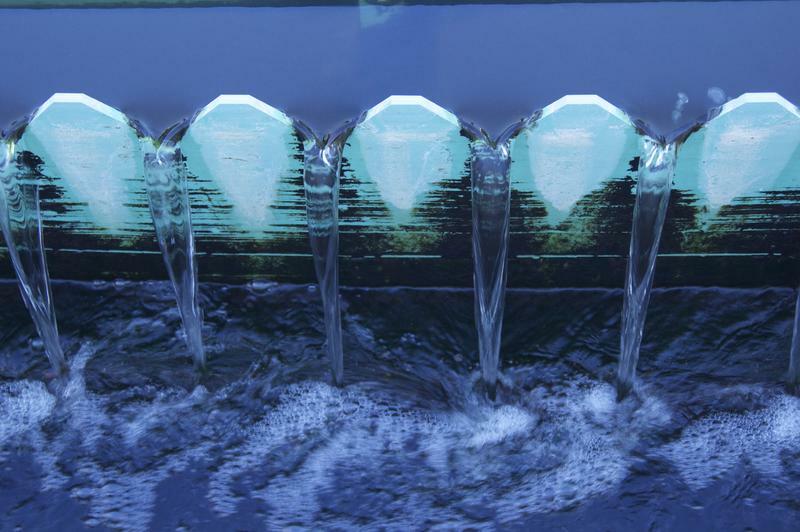 On a recent sunny day in Albuquerque’s South Valley, water utility workers bent over a grate taking readings of the city’s treated wastewater as it rushes from the Southside Water Reclamation Plant into the Rio Grande. 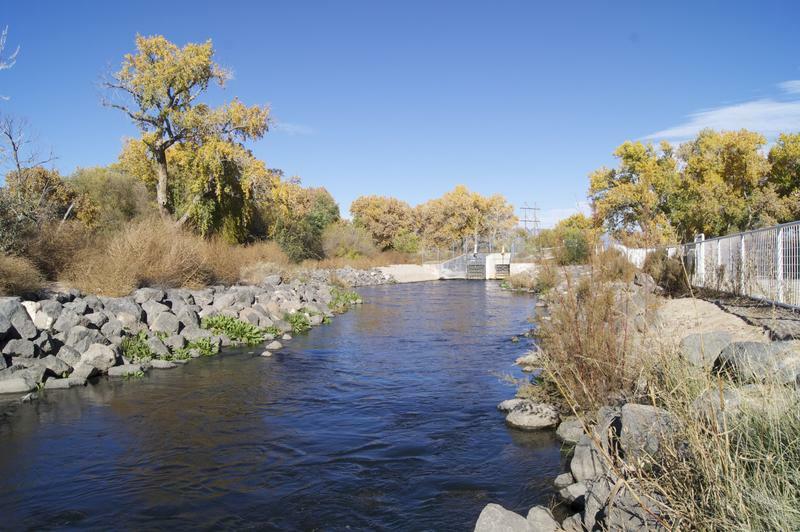 Albuquerque’s wastewater treatment plant spilled nearly 6 million gallons of partially treated sewage into the Rio Grande last Friday. Public Health New Mexico’s Ed Williams reports there was an equipment failure at one of the plant’s pumping facilities. Officials with the Southside Wastewater Reclamation Plant say there was a spike in power during last week’s heavy snowstorm. That power spike disabled a pump station. Plant Operations Manager Charles Leder says backup systems should have protected the facility from power fluctuations.